This winter we invite you to the launch of the Short Family’s newest property, with the fun loving and warm atmosphere Avalanche is renowned for. Alpine Retreat is perfectly positioned opposite the Chamois ski run and just a short stroll into the Village Centre. 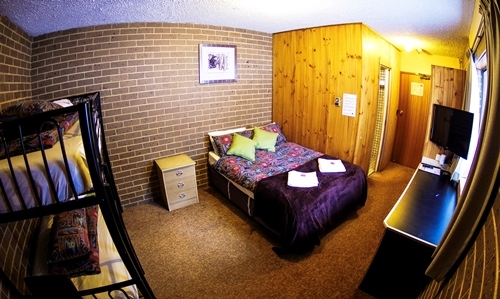 Offering breathtaking views of Bourke St, we are ski in/ski out, with cosy hotel style rooms and spacious self contained apartments, with comprehensive guest facilities. Treat Yourself at Alpine Retreat! After a hard and exciting day on the slopes, order a delicious meal and drink, enjoy a game of pool or relax around our open fire and swap stories about the days adventures. With its ambient Alpine décor, the restaurant emits a warm and inviting atmosphere. We offer incredible value for money with a “fresh is best” focused ala carte menu (a children’s menu is also provided). 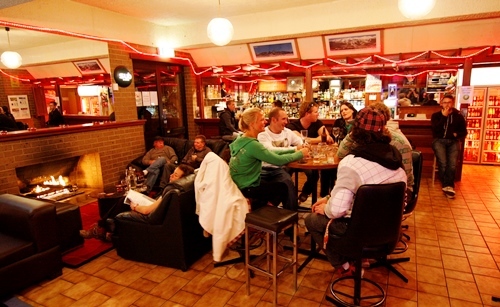 Our bar is known for having the friendliest staff on the mountain and you can select from an exciting and invigorating selection of cocktails and drinks. Enjoy our Free pool, arcade games, wide screen TV and live DJ’s! Join us for breakfast, lunch & dinner. Private door-to-door 4WD shuttle service – the only one of its kind at Mt Buller!